Branded Selfie Sticks are handheld and extendable which allows you to take awesome selfies and group photos. They are perfect for taking amazing scenery shots, great festival photos and unforgettable wedding selfies. Branded Selfie Sticks allow a new realm of picture taking and video making possibilities! 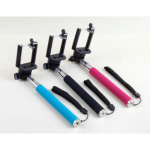 Our selfie sticks are lightweight, made from aluminum so they won't rust and will fit in your bag or pocket easily. 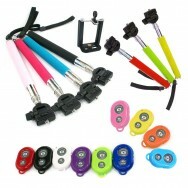 We have many selfie sticks in a range of colours. Branded Bluetooth Selfie StickBranded Bluetooth Selfie Stick with anti-rotation groove pole* Bluetoo.. Extendable handheld selfie stick for samsung S3S4,Digital Cameras, GoPro Cameras* Ajustable phone ad.. 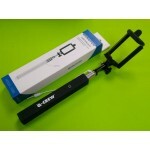 Wired Selfie Stick with 3.5prot Jack* No need to install App* Max load weight: 500g* Extendable Leng.. These high quality branded selfie sticks are perfect for your selfie taking need.With the addition o..
Selfie Stick - Exclusive Design. Printed Directly onto Handle. PMS Matched Handles.Built-In Cable Pr..